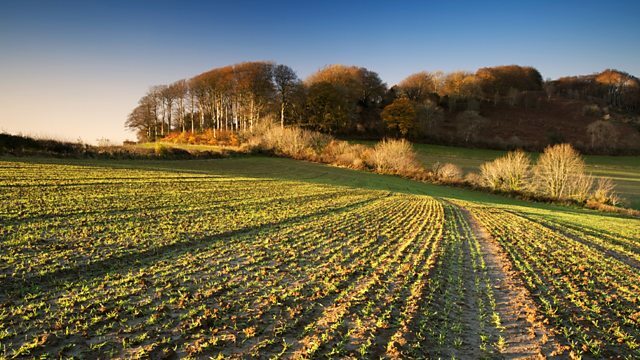 BBC Radio 4 - Farming Today, Renewable Heat Incentive changes, aeroponic farming and the future of our soils. Renewable Heat Incentive changes, aeroponic farming and the future of our soils. Chicken farmers in Northern Ireland say proposed changes to tarrif payments in the Renewable Heat Incentive could put them out of business. Charlotte Smith finds out more. Chicken farmers in Northern Ireland say proposed changes to tarrif payments in the Renewable Heat Incentive could put them out of business. The RHI scheme aimed to encourage businesses to switch to renewable energy by paying a tarrif on the energy used from - for instance - biomass boilers. Many poultry farmers made the change, but the scheme collapsed after going hundreds of millions of pounds over budget, amid allegations that it had been abused. Charlotte Smith speaks to the Ulster Farmers' Union about the latest change to this controversial programme. In less than a year, we could be harvesting our own salad in the supermarket aisle, rather than just picking up a plastic bag of leaves. That's the aim of the vertical farming technology company - LettUs Grow - which is working on a project to make mini farms for supermarkets. Our reporter takes a look around their research farm in Bristol. And are we at a turning point for our soils? Soil is one of our most valuable resources, but the Committee on Climate Change found the UK has lost 84% of its fertile topsoil since 1850, with erosion continuing at a rate of 1cm to 3cm every year. A study from Cranfield University found the annual cost of soil degradation - due to things like compaction, loss of organic content and erosion - is over a billion pounds across England and Wales. But now, healthy soil was listed as an example of something that could be financially rewarded as a 'public good' under the new Agriculture Bill in England... Charlotte Smith speaks to one of the experts responsible for advising Government.